On Sunday, October 27, we were lucky enough to set sail on the Disney Magic’s first full-length cruise after a six-week refurbishment in Spain and journey across the Atlantic as the ship headed back to its home port of Miami. The ship’s first post-dry dock voyage was originally scheduled a week prior, but guests were given notice three days before its sailing date that the ship was not going to be ready and that cruise was cancelled. The first official sailing then became a two-night “cruise to nowhere” that left Miami on October 25. 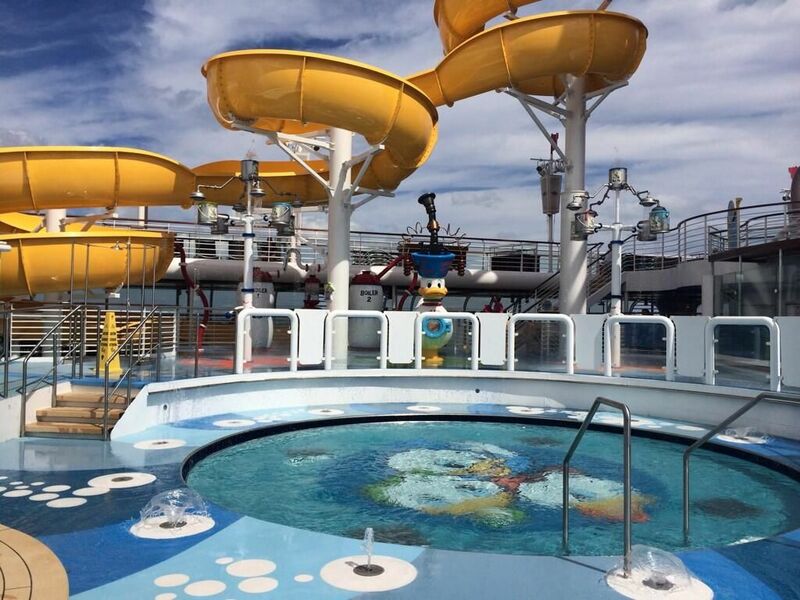 Disney Cruise Line was still putting the finishing touches on the ship as it headed out, and maintenance issues – particularly with plumbing – were evident. So far, on this second sailing open to the public, we have not experienced any problems, though the captain did mention in his greeting to guests that parts of the ship are still being finished. 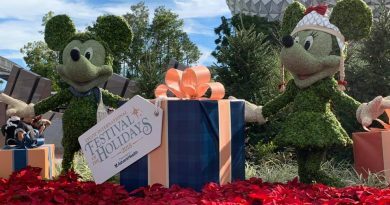 Disney had an ambitious schedule for the time the Magic was offline for improvements. The AquaDunk, a short, steep water slide, was added to the pool deck (the AquaDuck, found on the Dream and Fantasy, could not be added due to the smaller size of the Magic). The AquaLab splash area was also built in by the kids’ pool, though it is not as large or complex as the area of the same name on the larger ships. While we haven’t experienced the AquaDunk yet, our first of impression is that the ride is very brief. Lines did not seem to build up the way they do for the AquaDuck, though tomorrow’s sea day will be the true test of that. 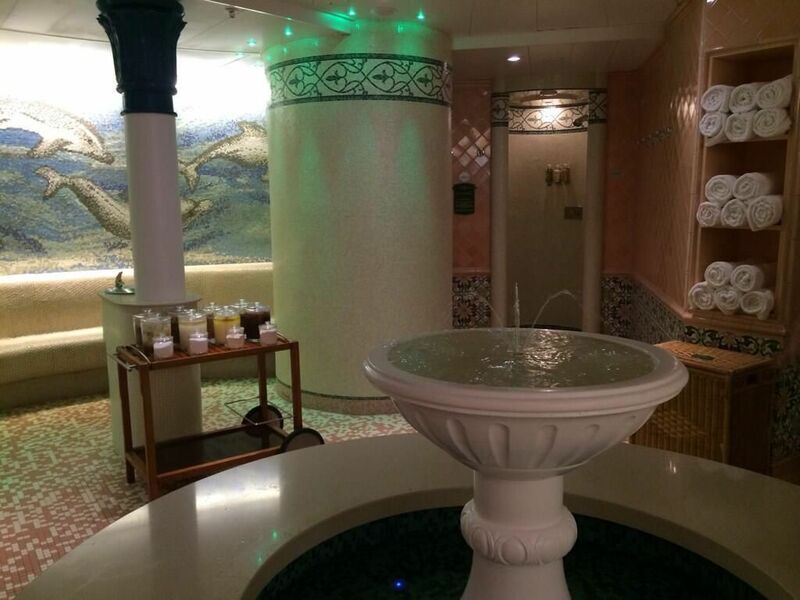 We were very much looking forward to Senses, the re-theming of the former Vista Spa. The lobby has been made over in a very attractive, subtle theme, but the treatment rooms, fitness room, and Rainforest spa area remain as they were in the Vista Spa. This is a disappointment to us as we are huge fans of the Rainforest area on the Dream and Fantasy. Staterooms (we are in a category 5) are very much as they were previously though the new raised beds are very nice for storing baggage under. Bathrooms still show the wear evident of a 15 year old ship. We are split on our opinions of the new After Hours adult lounge area versus its previous Beat Street incarnation. Laurel finds the area lacking any real theming, while Len thinks it’s a big improvement. There is a new drink menu in Keys (the former Sessions), which has some exclusive recipes and oddly higher drink prices than anywhere we’ve seen on DCL in the past, including a $15 Old Fashioned (this may have been a Manhattan; we don’t remember, as neither of us had it). Other cocktails are $10.75, higher than the $8-10 we’re used to seeing elsewhere on the ship. Fathoms doesn’t seem to improve much on Beat Street, though the folks playing bingo tonight were having a good time. The atrium has gotten a new chandelier and carpeting, which are very nice. And Shutters now has the electronic kiosks for previewing your onboard photos. 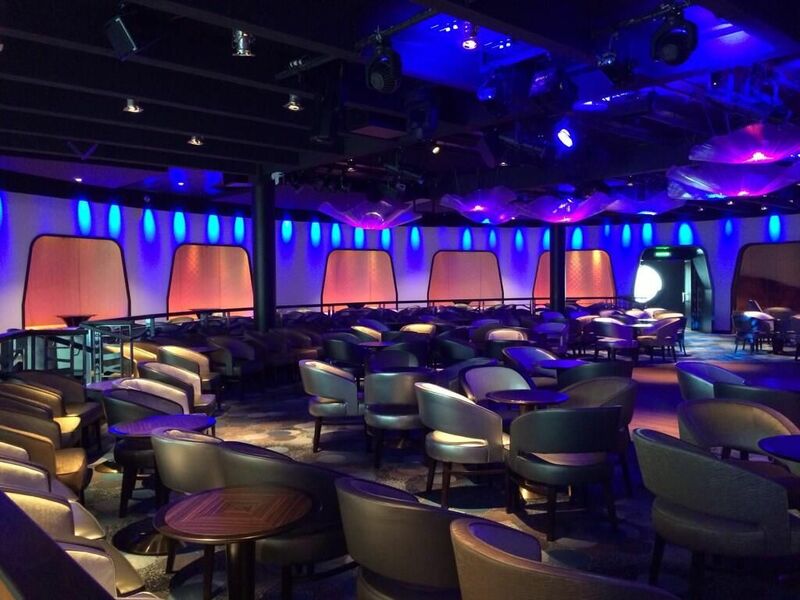 Oddly, the Promenade Lounge still has the unused Internet area with terminals for checking email while onboard. In several cruises, we have never seen a single guest using the area. 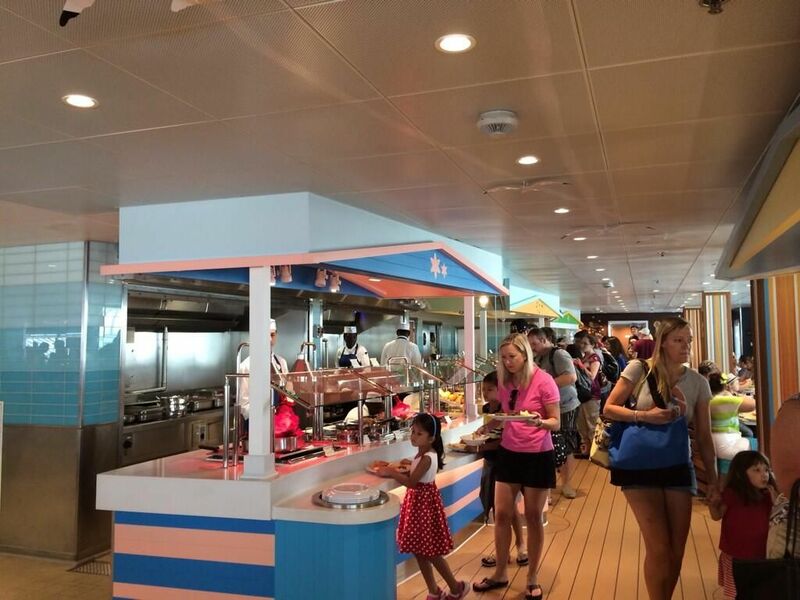 Cabanas, the restyled buffet on Deck 9, is also improved. New seating in the back has made the restaurant more open. The way you enter the buffet line is still the same, and the walkways are still too narrow to walk against traffic, but it’s better than it was. The big surprise tonight was the new show, Walt Disney: The Dream Goes On. It’s no secret that we’re generally not fans of the evening entertainment, but this show at least tries to break new ground. It is a retrospective of the Walt Disney Company that is unlike any show we’ve seen on the Cruise Line. We definitely applaud the entertainment staff for not going the route of the typical live show, though it was definitely uneven. Hopefully Disney will continue to tweak the script, as the parts featuring the theme parks and lesser seen movies got the most enthusiastic audience reactions of the night. Our dinner rotation tonight brought us to Lumiere’s, the one restaurant that hasn’t been reimagined on the ship. We look forward to bringing you our reviews of Animator’s Palate and Carioca’s later this week. Until then, let us know your questions about the Magic. We plan to blog about the ship every night we’re onboard as long as the ship’s Internet allows. We’re headed out on the Nov 6th sailing, so I’m excited to hear about all the updates – especially the kids’ clubs and the new restaurants. Thanks for these reviews and the new Cruise section – they’re great! The AquaDunk and Twist and Spout slides, and the new AquaLab, are a lot of fun. Sounds good (mostly!). Hope you had a good trip. If there is anything you would like updated pics of for the new cruise section, I’d be happy to take some – just let me know.